An excellent example of poor planning? I arrived in Oslo on February 9th, just a few short hours before Aura Noir played a local show right next to where I was staying. If their performance at MDF was any indication, I surely missed out. For now their only other upcoming dates are in Europe in May, and are listed below. 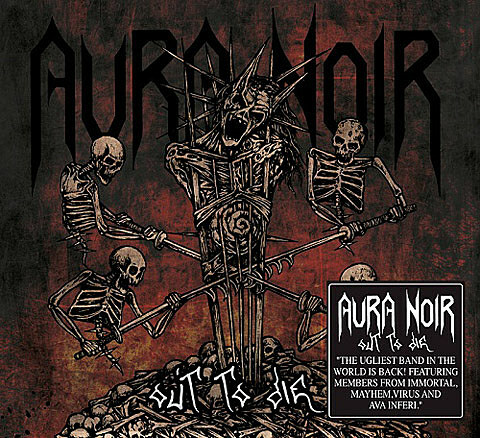 One of the strengths of Aura Noir is their ability to bottle their vitriolic energy onto recorded media, a phenomenon that happens again on their latest LP Out to Die due via Indie Recordings on March 23rd (pre-order available). 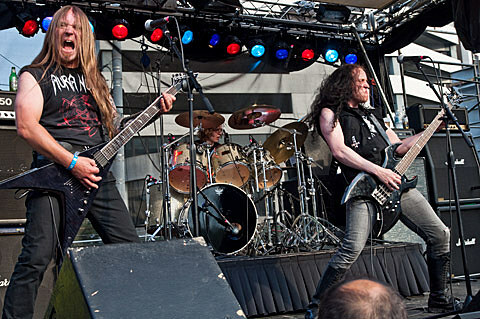 The effort is the band’s follow-up to the well-received 2008 release Hades Rise, which sees the past & present members of Mayhem, Virus, Immortal, Dødheimsgard and Cadaver delving deeper into their mailicous brand of black metal and thrash.